Check out this cool book trailer for Precisely Terminated! 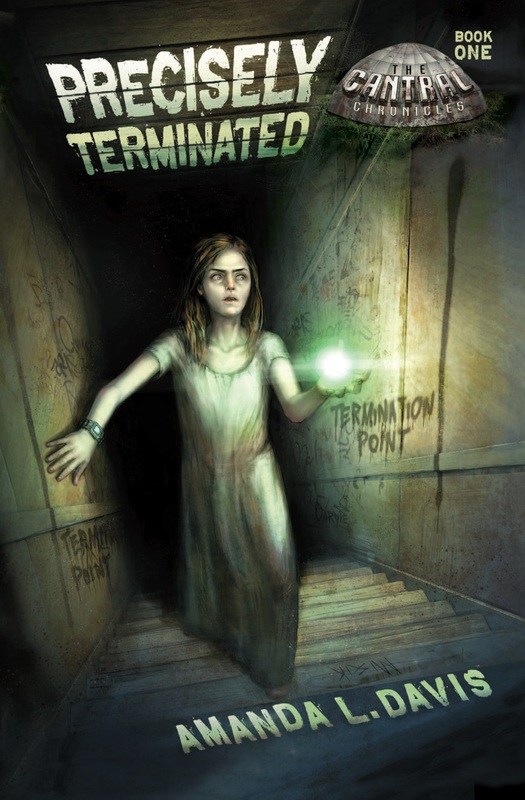 Precisely Terminated is Off to the Printer! Yes, the publisher is sending Precisely Terminated to the printer this evening! Hurrah! Lots of last minute emails were flying back and forth between my editor and me this morning and yesterday evening, but it's all done now. Here is the final cover. With microchips implanted in their skulls at birth, the slaves of Cantral and Cillineese have labored under the tyrannical rule of the nobles and their computers for centuries. Monica, a noble who avoided the implanting and escaped a death sentence at the age of four, is now sixteen and is in hiding. She lives with the slaves inside the walls of the Cantral palace, pretending to be one of them while the slave council plots a way to use her chip-less state to destroy the all-powerful computers that strike down any hint of rebellion. The fate of millions rides on Monica’s shoulders. As the only chip-less person in the world, she must find a way to destroy the computers and free Cillineese from the nobles’ iron fist before they strike with the ultimate punishment—death for everyone inside the city walls.